If you’re missing a tooth or teeth, dental implants are the most functional and natural-looking replacement option. 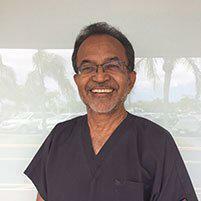 Cosmetic and family dentist Dr. Durgesh Thaker offers dental implants at two locations in Tamarac, Florida. To learn more about how dental implants can change your smile’s look and function, call the office or make an appointment using the online booking agent. Dental implants serve as a replacement for missing teeth. They consist of a surgically implanted post that’s positioned in the jawbone, beneath your gums. Dr. Thaker can mount a crown, or replacement tooth, on top of this post that looks and functions just like your natural teeth. Because implant posts are surgically placed into your jawbone, they serve as a stable base for artificial teeth. There’s no slipping or shifting, as you might experience with dentures or bridges. Anyone who is missing one or more adult teeth should consider dental implants as a possible solution. You must have healthy gums and adequate jawbone tissue to support the implant post. Dr. Thaker will also make sure you’re committed to good oral hygiene habits that will keep the implant and crown healthy. If you cannot wear dentures due to an unusual mouth structure or simple discomfort, implants may be a good choice, too. If you and Dr. Thaker agree that an implant is the right dental procedure for you, you’ll first go through a surgical procedure in which he places the post into your jaw bone at the site of your missing tooth. This is performed in-office under anesthesia. It takes approximately 6-12 weeks for the jaw bone to fuse around the post, at which point Dr. Thaker places an extender, or abutment, to which he attaches the crown. When you need to replace missing teeth, dental implants offer a natural look and feel. To learn if you’re a candidate for this procedure, call the office of Durgesh Thaker, DDS, or book an appointment online today.